Earlier: Moving Diary: Settling in. BEEP! You are so welcome. I will happily slurp up whatever entries you, uh, enter. Happy routine building in your new home and new town. Happy Anniversary and well done for having the courage of your convictions and doing your own thing. Woot woot. This entry is a prime example of why you’ll make it as a writer. It’s simple, easy to read and descriptive, but not superfluous. It’s a joy to read your work. Happy anniversary! Here’s to many more years of doing what you love and not living under bridges! Also, I hope you’re settling in to your new space. The moving diary entries were hilarious. I can’t believe it’s been a year already. Wow! I want to do what you’ve done, and I’m working toward that now. Congrats on not going broke! You give me hope. your tenacity inspires me. wish that i had just a fraction of the gumption that you do. kudos to you and your accomplishments! I must say, that your willingness to take on new challenges and turn your life upsidedown is helping me, particularly today when there is a chance that my whole world is going to go crash. I know I can face it though. I’ll just treat it as an adventure like you do. Thanks PQ and good luck with your adventure. 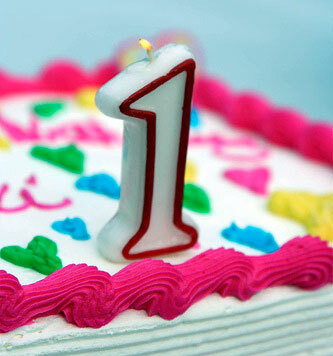 Congrats on your 1 year freelancing anniverary. I’m glad you’re not broke and living under a bridge. I’m going to celebrate your anniversary along with the 4th anniversary of my 39th birthday ;) CHEERS! Congrats on making it one year! I am sincerely excited you’re living your dream. Chapel Hill is a lovely town and I hope you love it. My thoughts are that the freedom is so worth it that even if you do end up broke and unemployed in another year, so what? Worth it. Wow! That year went quick and I’m still here :( oh well, maybe another 6 months! You rock. Your courage and tenacity inspire me every day. Thanks for a great post! You gave me the confidence I need – I am now a unintentionally unemployed public school teacher – laid off due to state and local budget cuts. In the past, I have been self-employed and I have big plans for my future. If you get a chance, please visit my brand new blog at http://unintentionallyunemployed.blogspot.com – I could sure use some new blogging buddies! You are a writer. 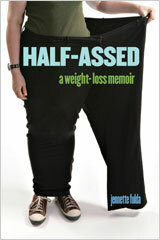 I originally started reading your blog because of your weight-loss journey (and have re-read the archives many times), but even though you are not writing about weight-loss anymore, I keep coming back, because you are a great writer: funny, perceptive, and always entertaining. 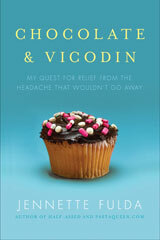 Your publishers will be happy to know that I intend to buy your next book, even though I don’t suffer from headaches. Happy Anniversary!!! It has been a very interesting year, for you and many more of us, you just happen to write yours down for us all to read and that makes you a writer and me a reader!!! You have a fun way with words and I always enjoy popping in here for a little inspiration! Keep on keepin on girl!!! That was very gutsy of you. Given the current economic slump, just the idea of resigning from a corporate job is enough to give people these days an anxiety attack on the spot. Following one’s dreams in exchange for sacrificing the security blanket takes tremendous amount of courage. And you are one courageous writer, as well as a very fine one at that, too. A co-worker who reads your blog regularly forwarded this to me. I am where you were a year ago at this very minute. I am leaving my FT job and giving notice in 2 weeks and gulp…will be on my own as a freelance editor. I am glad to hear you survived your first year! And you are free!!! I can’t wait to be free. Congrats. You give me hope as I’m a little shaky in the confidence department as of late. :-) Happy Anniversary! Congrats! What an accomplishment! A year of freelancing and a new city! Reading your blog has become an almost-daily part of my routine. Thank you for being such good company and offering your gifts so readily. Best wasp-free wishes in your new home! Congratulations and don’t forget your trip to London and Paris, all on your own I might add! Congratulations and many happy freelance returns. I admire you and all you have done….lost all that weight, kept it off, wrote books, travelled, dealt with the headache, left your job to go out on your own, and now moved far away to start another new chapter in your life. You are an incredible lady, to be sure. Congrats to you! I wish you man more years as a successful freelancer! I want to do it so bad, even went to a few interviews already – hoping Photography will be my permanent gig, not admin work.